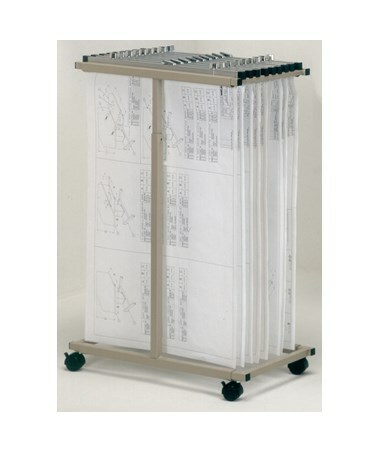 The Mayline Expandable Mobile Plan Rack makes mobile storage for larger, heavier files simple. 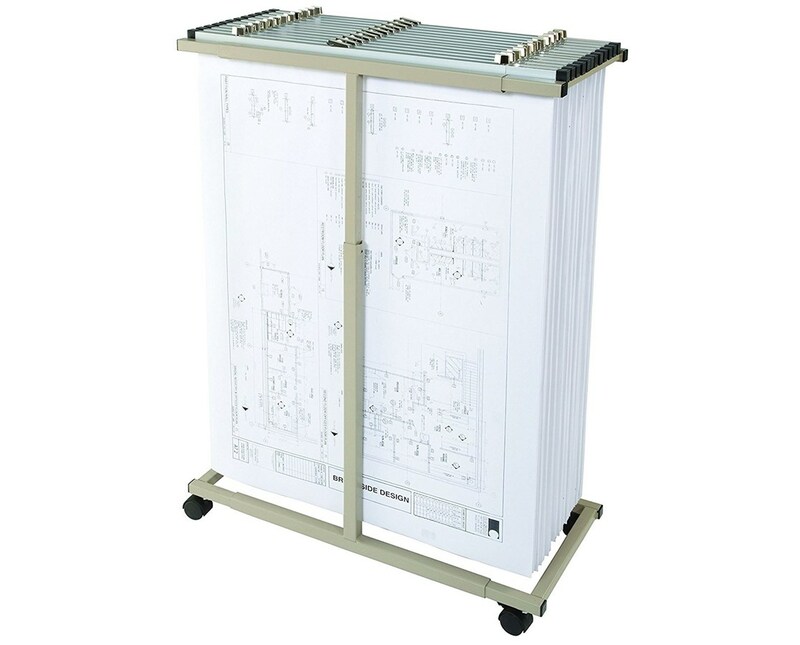 This expandable rack has an adjustable height of 40 to 52 inches with a 16-inch depth. 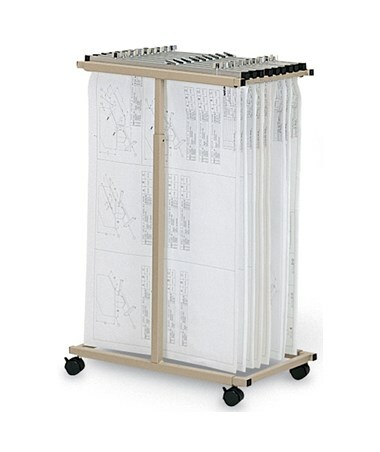 This mobile plan rack has a max filing width of 27 to 39 inches. 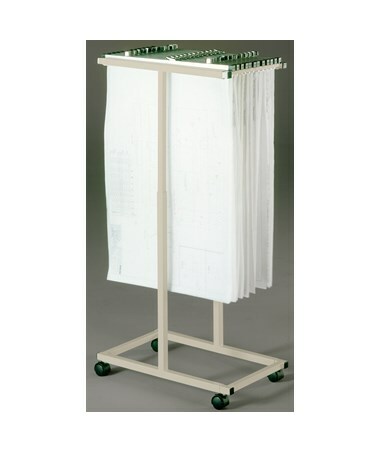 This expandable mobile plan rack can accommodate 1,200 sheets in 12 hanging clamps which are 24-inch, 30-inch or 36-inch long. Hanging paper clamps are sold separately. 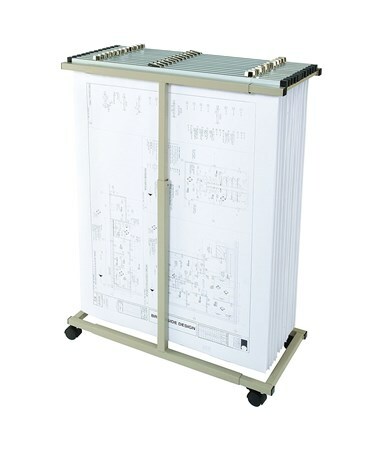 This sand beige colored rack has four wheels and is made of tubular steel construction which is long lasting. In addition, its front wheels come with a lock which makes the rack stable.